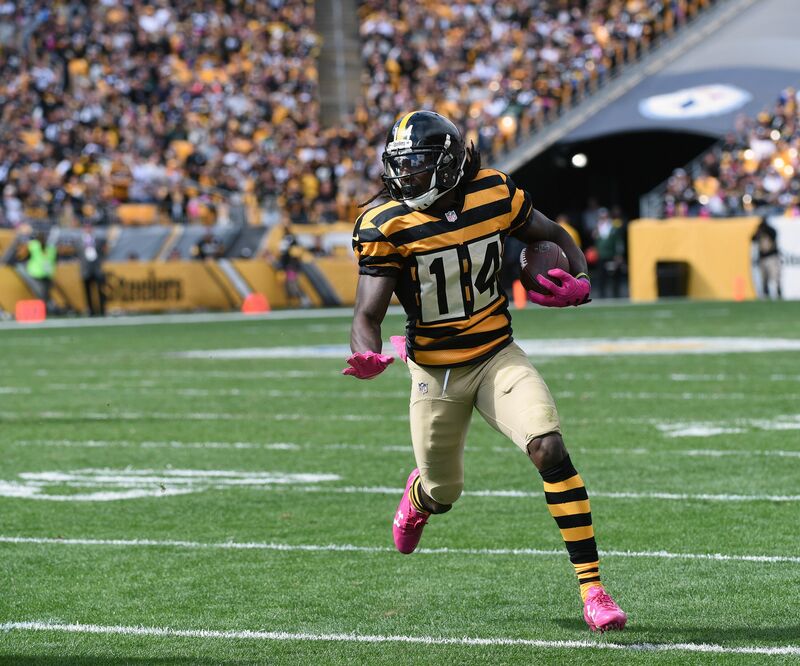 The Browns found themselves a new weapon for their receiving corps on Saturday when they acquired Sammie Coates from the Steelers. While a big piece of Saturday’s action will be players getting cuts, some teams may decide to cut out the middle man and just go right at the players they want through a trade. The Cleveland Browns did just that on Saturday, as they apparently didn’t want to wait for Sammie Coates to hit the market. The team announced on Saturday that they acquired Coates from their AFC North rival, the Pittsburgh Steelers, in a deal for a draft pick. The trade sends Coates and a 2019 seventh-round pick to the Browns in exchange for Cleveland’s 2018 sixth-round pick. Coates isn’t exactly a superstar or a complete game-changer, and won’t be making any huge strides with the Browns, but he’ll surely contribute to the team’s offense that is sorely lacking in receivers at the moment. In his tenure with the Steelers, Coates had 22 receptions for 446 yards and two touchdowns, with most of the production coming in his 14 games in 2016. Last season, he recorded 21 receptions for 435 yards and two touchdowns, which is impressive considering he started just five games. He was also a threat on special teams, as well, as he has an average of 25 yards per kickoff return in his career. The Browns were reportedly interested in Jermaine Kearse on Friday before he was dealt to the New York Jets, and Coates was likely their next option at wide receiver once Kearse fell out of the equation. While it’s not exactly the biggest trade to be completed in the Cleveland sports scene this week, Coates will be a big addition for DeShone Kizer to work with in the Browns offense as the team attempts to get Kizer maturing sooner rather than later in their passing game.